breakfast room until 8.30 am. No good if you have a big day on the hills. Fortunately we didn’t, it was almost a rest day walking to Coniston. The forecast was for showers up to around 9am then wall to wall sun from 3 pm, sunny spells in between. I decided to carry an extra lens, the 43mm wide-angle lens for my Mamiya 7 camera, to go with the 65mm lens. 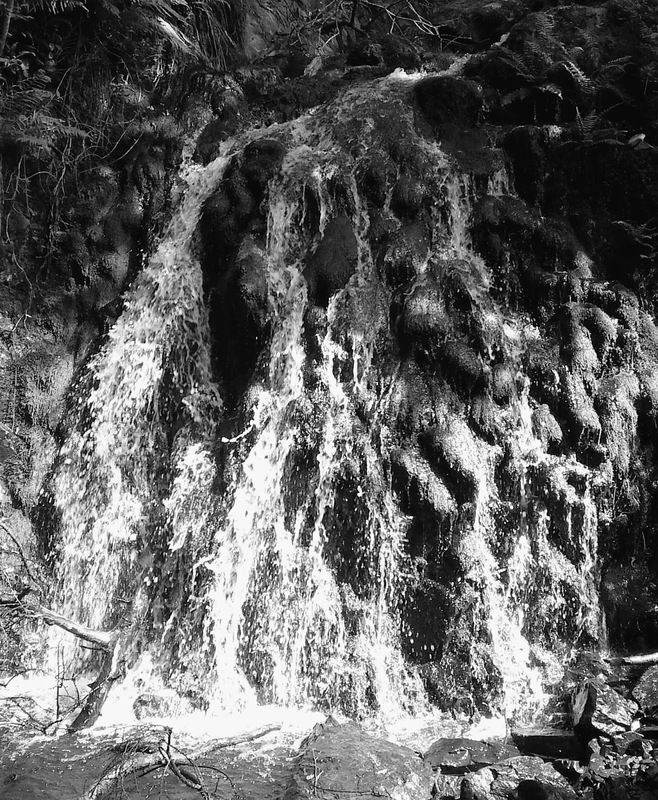 I also packed Ilford SFX infrared film and filters, only worth carrying on really sunny days. Ilford FP4 film is always in my camera case! We left at 9.40 am (had to wait for Al to go and buy gingerbread at his favourite gingerbread shop) and it was dull and spitting with rain for the first hour or so. We headed over to Elterwater, arriving at 10.40 am. Al tried to head straight for the door of the Britannia Inn but I managed to hold him back. Ten minutes later we were drinking our first pints of the day! The shot of the Langdale Pikes from the shore of Elterwater is a classic so I was planning to take it again. Unfortunately, the mountains were in the clouds so we headed to the Skelwith Bridge Hotel to wait for the weather to brighten. It seemed churlish to just sit there so we had a pint to help pass the time. It was brightening up as we left. 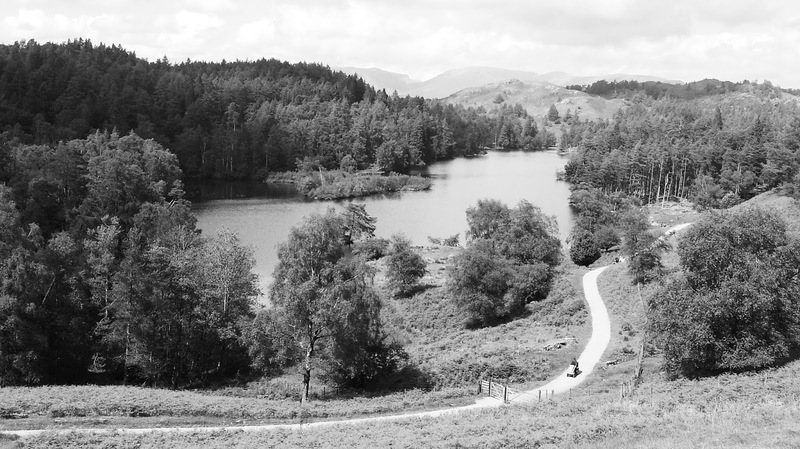 Fingers crossed for photos at our next stop, Tarn Hows lakes. We saw Spotted Flycatchers and then within an hour or so a Pied Flycatcher, both close beside the track. It was dull at the lakes so we went round the long way hoping it would brighten. It did and I took a few shots. The sky started to break up so I put a light red filter on to darken it. It was a jolly nice day now. We picked up our footpath heading for Coniston and spotted a series of waterfalls on Tom Gill stream. These were the last shots of the day. From here it was an easy few miles to Coniston. We decided we would have a pint to help cool down at the Crown Hotel before going to our b&b. This evening we had to visit the Black Bull Inn, home of the Coniston Brewery. They do a jolly nice Special Oatmeal Stout. 7 days down with just one to go. Back to Boot in Eskdale tomorrow. Today was 13.5 miles and a bit over 7 hours including pub and photo stops. 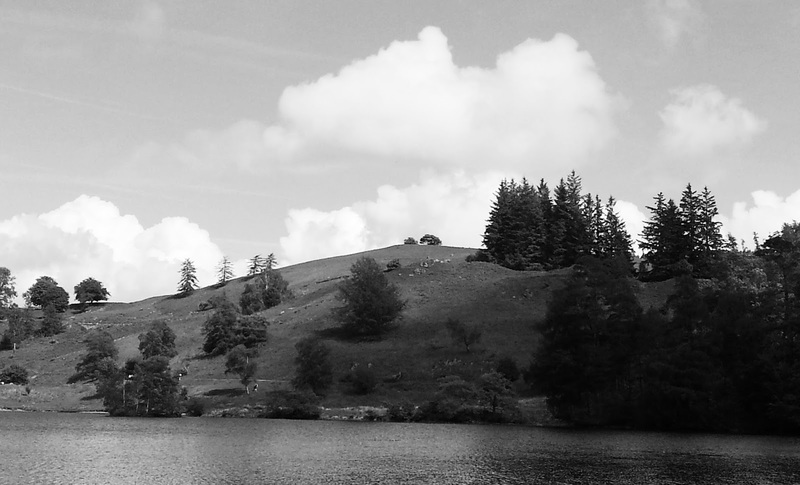 Tomorrow we climb the Old Man of Coniston and return to the Woolpack.